Yay! 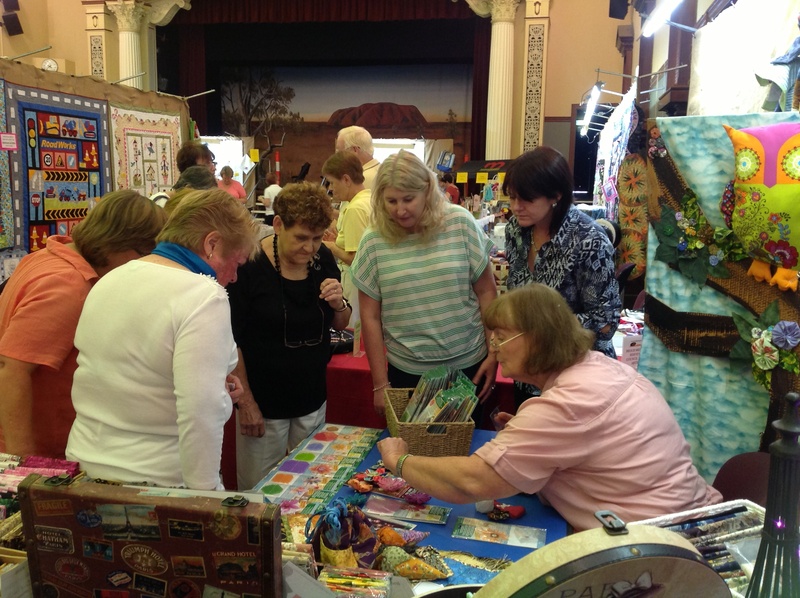 Today we won the prize for the best decorated stall at the Maryborough Quilt Show. This was thanks in no small part to Lesa the Leonardo da Vinci of tree painters, Jan and others who helped with the ideas and the work of creating this display. We had several people taking photos of the tree during the day. 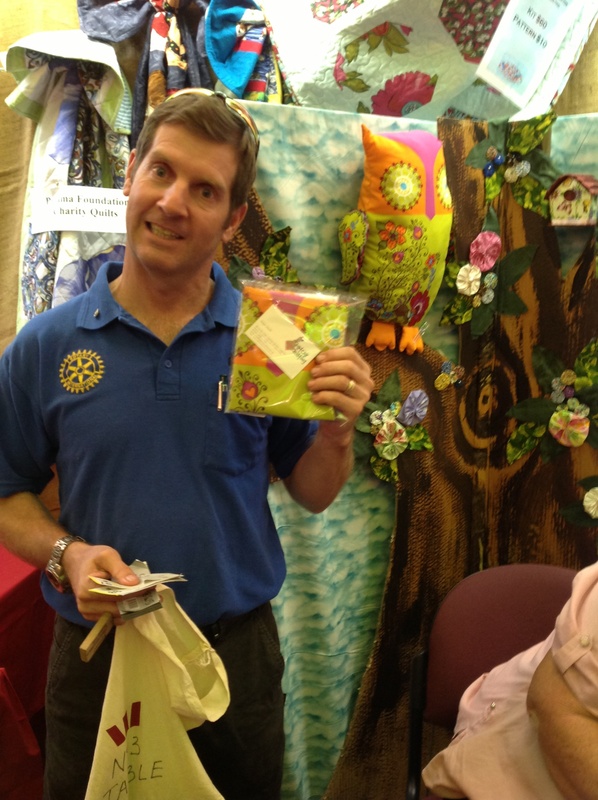 In fact Cameron the president of the Rotary Club was challenged into making the owl that we had in the tree. I have included a photo of him -he looks a little worried doesn’t he? This was the inaugural show for Maryborough and we certainly had a good weekend. Jan had the crowd in awe with her demonstration of the new Kanzashi flower tool as you can see. This was actually a family weekend as all of us (Including Mum and Dad) made the trip. We all had a fun time and it was certainly easier to pack up with the extra pairs of hands. Of course Mum helped on the stall during the weekend as usual and Dad helped set up and pack up – they are both important members of the team. This time Luvvy and the teenager-in-residence were on hand to lend support too so it really was a team effort. Thanks Apatchy people! This entry was posted in Awards, Quilt shows and tagged awards, Quilt show by Apatchy Kaye. Bookmark the permalink. Obviously, like us, the people of Maryborough know quality when they see it. Bravo! Whoohoo for Apatchy! I reckon it was in the bag before you even left!!! OMG you are all so clever. But I have always known it. We are tiling the kitchen tomorrow. I do hope I can get to class for a little while before we start.